In the past four years, tens of thousands of refugees flooded into Europe. Now, the European Union, in agreement with Turkey, has established a number of measures to curb the flow of refugees through Greece into Western Europe. This has resulted in a large reduction in the number of refugees arriving daily, but has also stranded approximately 50,000 refugees across Greece. The world refugee crisis is huge, but working together we can help make a difference. We offer a variety of one-week group mission trips to Greece for churches, schools, and other groups. Opportunities range from serving alongside Greek nationals on an island where refugees continue to arrive ashore almost daily, to one-on-one relational ministry in a small village in northern Greece where large numbers of refugees are being housed. Your group will interact each day with refugees from Syria, Afghanistan, Iraq and beyond. As a team, you will help serve through a variety of activities ranging from meal prep and adult language classes, to sports, science and art workshops for refugee teens. We will provide an experienced team leader to travel with your group and manage all trip logistics, including lodging, transportation, meals, translators, and daily ministry activities. We will also provide orientation and cultural awareness training sessions in the weeks leading up to the trip (online or in-person if local), as well as follow-up debriefing meetings after the trip. Typically, all trips are scheduled weekend-to-weekend, so team members are out-of-country only one work-week. 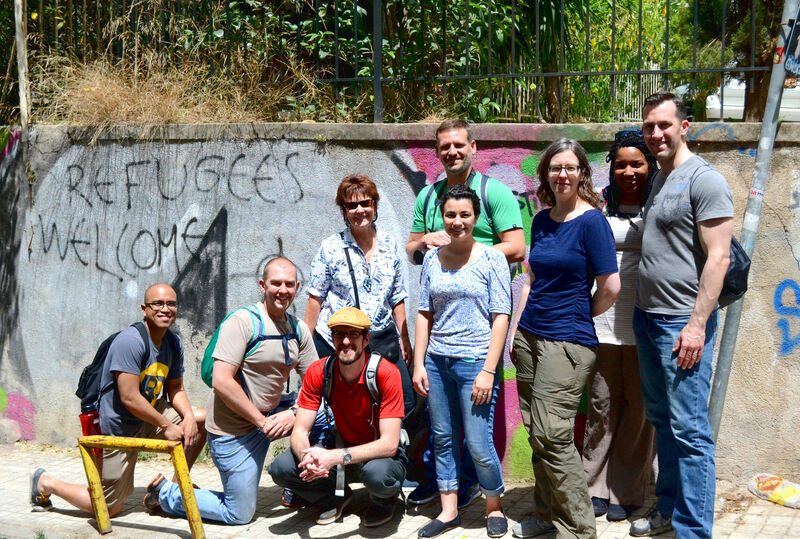 Most importantly, we welcome the opportunity to continue our relationship after the trip by encouraging and equipping you and your team members to stay engaged with refugees in your city. We have a few slots remaining for group trips in 2019, so please contact us soon if you are interested to learn more. Join us for one week, either as an individual or bring a team from your church. Experience a paradigm shift in your understanding of the refugee situation by partnering with Greek volunteers as they serve the people that have been flooding into their country. See the holding pattern that refugees live in before they are resettled in the U.S. or Europe. Cost per trip is approximately $1800-$2200 (depending on trip location and activities) + round-trip airfare to Greece. Please contact Lisa Harris for detailed information. 615-832-2282 or lharris@servantgroup.org. Your financial gifts will go to helping our teams meet the needs they encounter while on the ground in Athens. These costs always come up, whether it’s a stroller, a meal, or some medicine. Thank you! Read Stories from our Teams!